Prysmian has been awarded a contract worth more than EUR 300 million with Réseau de Transport d’Électricité (RTE) to develop submarine cable links to connect three planned offshore wind farms to the mainland power grid in France. The three projects, Fécamp, Calvados and Saint Nazaire, are to be individually triggered during the period of the contract. These projects are the first ever grid access connections developed by RTE to transmit renewable energy generated by offshore wind farms to thousands of businesses and homes. “We are proud to support RTE in this important challenge,” says Massimo Battaini, SVP Energy Projects. 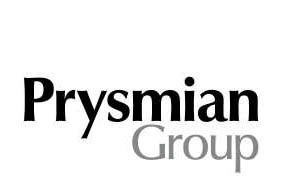 “Prysmian is already widely involved in the provision of reliable and more sustainable power transmission connections in France, through the realisation of the France-Spain and the Italy-France interconnectors. The offshore wind market in France is a new and promising development in this segment, and this contract not only consolidates our relationship with RTE but also re-affirms Prysmian’s world leadership in providing HV submarine cable solutions,” concludes Battaini.